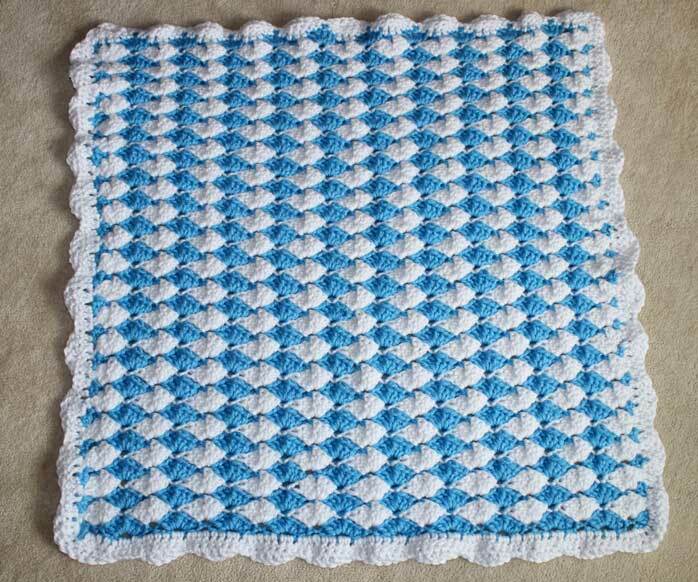 I designed this crochet baby blanket pattern using the fan stitch and by alternating the colors blue and white. The type of yarn I used made this blanket really fluffy and the thickness of the yarn makes this blanket really eye catching. 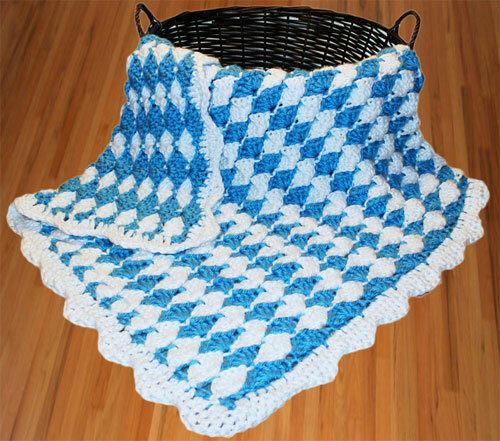 This baby blanket may look difficult to crochet but it actually is pretty simple. If you find that you are having a hard time deciphering this pattern on your own try following along with my video tutorial. My tutorial will break down this pattern step by step and will also help you to understand and learn more about reading crochet patterns. The crochet hook I used to make this blanket is a Susan Bates Bamboo Hook. I highly recommend this hook if your hand cramps easily when you crochet during long projects. The bigger handle on the bamboo hook forces you to loosen your grip which prevents your hand from straining. Shell Stitch: Here is a tutorial on the shell stitch. Here is a video tutorial on the left hand version of the shell stitch. 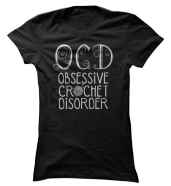 Yarn Makes a Big Difference! When you're crocheting a baby blanket it really makes a big difference on the type of yarn you use. 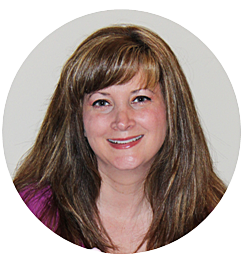 This is especially helpful because everyone wants their baby blankets to be soft and cuddly. So for this blanket I chose to use Hometown USA yarn from Lion Brand because it's super soft. I also like how bulky this yarn is because not only will it keep your baby warm, but it will also stand out in a crowd because of its unique texture. Foundation Chain: With color A (Charlotte Blue) ch 69. Row 1: DC in 3rd ch from hook, skip 2 ch's, sc in next ch, (skip 2 ch's, fan stitch, skip 2 ch's, sc in next ch) repeat across, end with 2 dc in last ch (10 fans). Row 2: Attach color B, ch 1, turn work, sc in first dc, fan into sc, (sc into the ch 1 on top of fan, fan into sc) repeat across, end with a sc into the top of the turning ch (11 fans). Row 3: Attach color A, ch 2, turn work, dc in same sp, (sc into ch 1 sp of fan, fan into sc) repeat across, end with 2 dc in last sc (10 fans). Rows 4 - 41: Repeat row 2 for all of the even numbered rows, repeat row 3 for all of the odd numbered rows. Fasten off, weave in loose yarn ends with a yarn needle. Rnd 1: Attach color B (white) to the end of row 41, ch 1, turn work, (dc in next 3 sts, sc in next 2 sts, sl st in ch 1 sp, sc in next 2 sts) repeat 10 times, dc in next 2 sts, 2 dc in last st (84 sts on each side of blanket, 336 total stitches). Rnd 2: Sl st into beginning st, ch 2 dc in next 2 sts, hdc in next st, sc in next st, (sl st in next st, hdc in next st, dc in next 2 sts, hdc in next st, sc in next st, sl st in next st) repeat 9 times. Continuing Rnd 2: **Sl st in next st, sc in next st, hdc in next st, dc in next 6 sts, hdc in next st, sc in next st, sl st in next st, (sl st in next st, sc in next st, hdc in next st, sc in next 2 sts, hdc in next st, sc in next st, sl st in next st) repeat 9 times; repeat from ** 2 times more. Last Corner: Sl st in next st, sc in next st, hdc in next st, dc in next 3 sts, sl st into beginning stitch (336 sts). Posts in this website contain affiliate links. 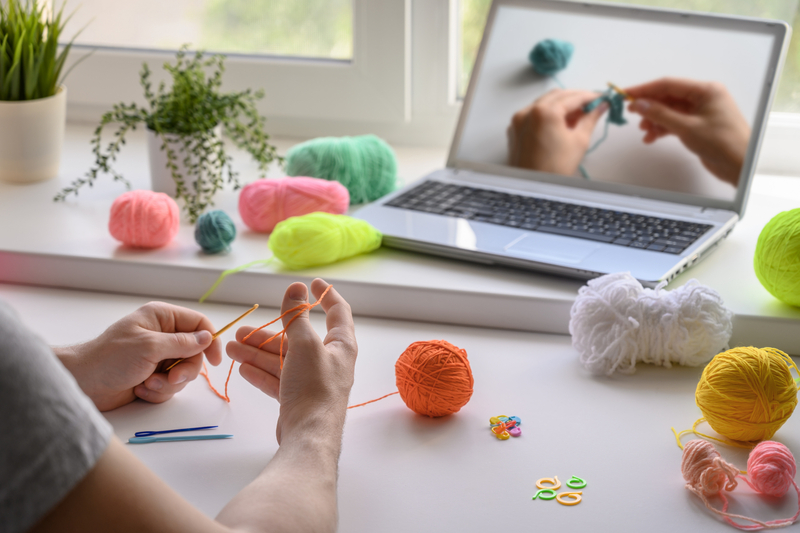 If you purchase a product through an affiliate link, your cost will be the same but Crochet Guru will automatically receive a small commission. 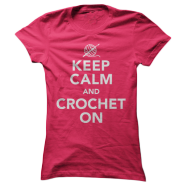 - Your support is greatly appreciated and it helps keep Crochet Guru going! Copyright: Please feel free to sell this finished item, just make sure to give crochetguru.com credit for the pattern. Never sell, copy, publish or claim this pattern or any other pattern you find on this website as your own. I hope you enjoy this free crochet baby blanket pattern, and if you have any questions or comments go ahead and voice your opinion in the comment box below.